Hoffman’s Lawn Care provides more than just weekly lawn maintenance. Please consider us when in need of any of the following services. We welcome the opportunity to provide full maintenance service. However, if all you need is a company to mow the yard, we are happy to help. Standard service includes mowing the entire yard, line trimming (weedeating) around all trees, posts, fencing, etc., edging all sidewalks, patios and driveways with a blade edger and clean up of all clippings. We mulch as it is much better for the lawn. Over time your lawn will be compacted and your grass and plants will start to starve for oxygen. They must have oxygen in their root system as well as carbon dioxide up top to be healthy. 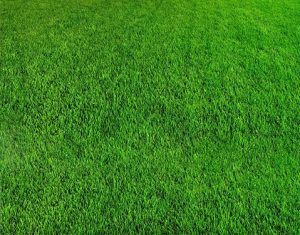 We provide professional aeration which will allow proper oxygenation of your grass for a greener, thicker and healthier lawn. Our service keeps your property beautiful year round. We will fight those hard to kill weeds until they are gone and the proper fertilization program will keep you grass lush and healthy from season to season. It is worth mentioning here that we provide weed pulling service. Most people absolutely hate pulling weeds and many lawn care companies do not provide this service. Hoffman’s Lawn Care is happy to do the weed pulling for you. We do our best to keep your flower beds and all landscaping consistently clear of those pesky weeds so you can enjoy the beauty of your property. If your property is in need of shrub or tree removal we are happy to take care of this necessity and are able to install new trees and shrubs to replace and enhance the original beauty of your landscape. Mowing the yard is only half the challenge. 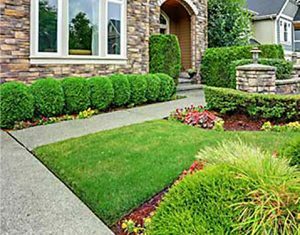 Bushes and trees that are not consistently maintained hurt the appearance of even the best-kept property. We provide professional trimming service that is consistent with a beautiful landscape giving you freedom to relax while we do the work, further enabling you to enjoy the scenery of your property. Experts say remodeling a master bathroom or kitchen can potentially return big dividends at the time of sell. According to Money Magazine, professional landscaping can return up to 200% of the original investment when you sell your property. Call us to today to enjoy the beauty of a landscaped yard by Hoffman’s Lawn Care. We will design the landscape to your specifications and professionally install it with minimal inconvenience to you. We offer Spring and Fall Clean-Up to help spruce up your yard throughout the Fall and Winter and in preparation for new growth in the Spring. Removing leaves, limbs, debris and dethatching will give you a healthy, safe and beautiful lawn year-round. 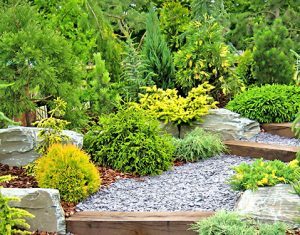 We are good at creating landscape designs that require minimal maintenance. However, your investment and beautiful landscape can quickly disappear if not consistently maintained. Hoffman’s Lawn Care can help. We might even be able to save you money on your water bill. Mulch is a protective cover placed over the soil to retain moisture, reduce erosion, provide nutrients, and suppress weed growth and seed germination. 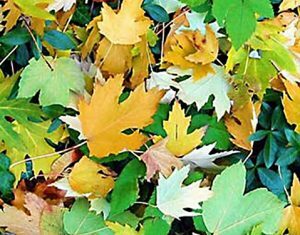 Mulching in gardens and landscaping mimics the leaf cover that is found on forest floors. Compost is plant and other natural matter that has been decomposed and recycled as a fertilizer and soil amendment. Compost can be very rich in nutrients. Compost is beneficial for the land in many ways, including as a soil conditioner, a fertilizer, addition of vital humus, and a natural pesticide for soil. It is also useful for erosion control, and land and stream reclamation. We are happy to provide all of your mulch and compost needs, which also provides a beautiful contrasting curb appeal. You just can’t go wrong with proper mulching. By understanding the insects and their behavior in the Columbus area, Hoffman’s Lawn Care can pro-actively implement the proper measures to verify effective pest management. Our techs do the right treatments at the right time. Proper outdoor pest control is one of the first steps to a healthy lawn and can also help in preventing pests from invading your home. Hoffman’s Lawn Care strives to be a one-stop ‘Outdoor Service Provider’. We provide all types of service from lawn care to landscaping. If your outdoor services are not currently managed by one service provider, let us show you the return on investment (ROI) earned by switching to Hoffman’s Lawn Care. Find the information you need? Then fill out our Free Estimate form and one of our experts will contact you to discuss your lawn care needs. Still have questions? Feel free to Contact Us. We are always happy to answer any concerns you may have. For Fastest Service, give us a call at 740-318-5296. You can ask for me, Andrew Hoffman. 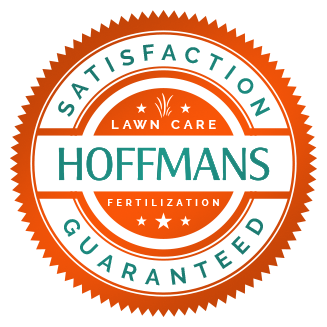 Hoffman’s Lawn & Fertilization 100% Satisfaction Guarantee! We guarantee you will be absolutely thrilled with our Lawn Care Services. If there is ever an issue or you have any dissatisfaction with our work, we will be there to fix it and make it right. You can count on Hoffman's Lawn & Fertilization. We stand behind 100% of our work. Every time. Nothing is more important to us than your complete and total satisfaction. Hoffman's is great! They are very reliable and do a great job with the lawn. They also move our trampoline to cut the grass! I have appreciated how responsive they are to questions by email, often getting back to me the same day. I've been a customer for a few years. The team is always courteous and respectful of my property. They are a no hassle organization, they show up, do the work and occasionally check in to see if I am satisfied or need additional services.